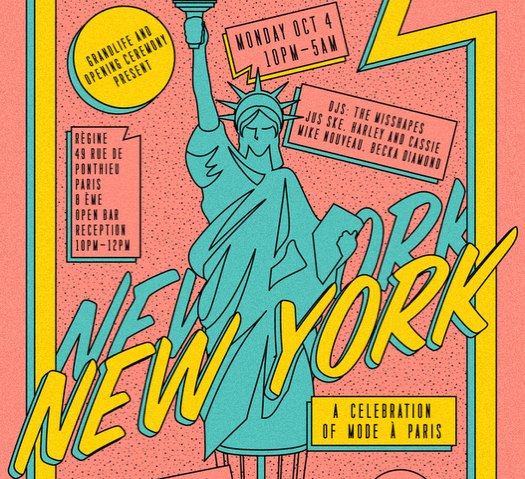 If you're in Paris for Paris Fashion Week, Grand Opening and Opening Ceremony are collaborating on throwing a party at the Regine this Monday. 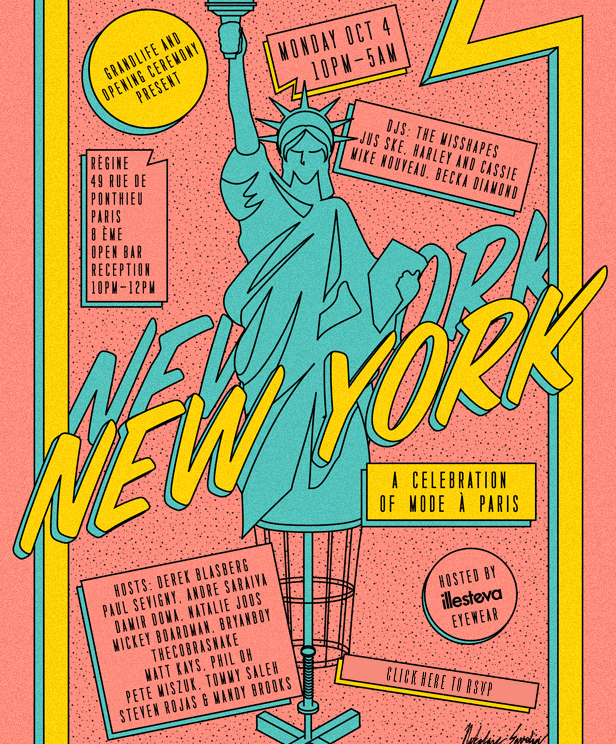 The theme is a New York style celebration of mode a Paris. It will be hosted by Paul Sevginy, Natalie Joos, and Derek Blasberg among others. And the Misshapes will be spinning the tunes. Bonne Soiree!